All products must go by the end of the year. Take advantage of big discounts on non-Hypnotik brands! Shop for your favorite BJJ gis at MMA Warehouse and use above code to get discounts! 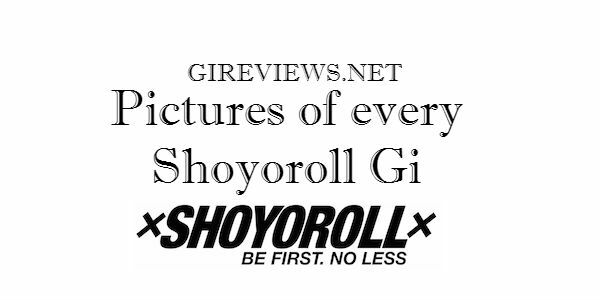 I have had numerous requests lately at to where people can find photos of all of the old batches of Shoyoroll gis. With that in mind, I’ve done my best to compile images of every Shoyoroll gi made. I am sure that I am missing a few so if you see some missing, or mislabeled, please leave me a comment! Get the latest in BJJ gis available at Amazon! 2018 Guide: Top 7 Lightweight Gis for Summer! Well friends, it’s about that time of the year again. Time for some good old summer BJJ training. 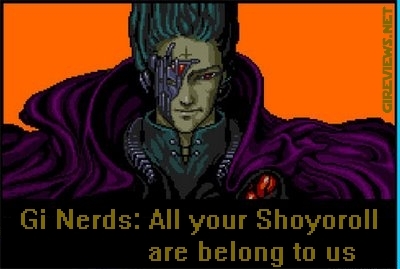 But I’ll level with you. I’m about 6’1″ and about 200lbs. (on a good day). I sweat. A lot. And there isn’t anything more uncomfortable than training in a thick heavy gi during the summer. With that in mind, we wanted to highlight a few of the best lightweight / summer gis that are out right now. Find your favorite lightweight gi at MMA Overload! First, super-huge thanks to five super awesome women reminded me that it’s really hard to find decent ladies (women’s) BJJ gi on the internet. Special thanks to Ayanthi who has done our first women’s gi review. So I did some homework. And below I present to you a fairly comprehensive list of how to do your women’s gi shopping as well as my top recommendations from different brands. I’ve tried to organized them by price list as well. If I’ve forgotten any, please post them in the comments below! Check the prices on the best women’s gis available at Hypnotik! 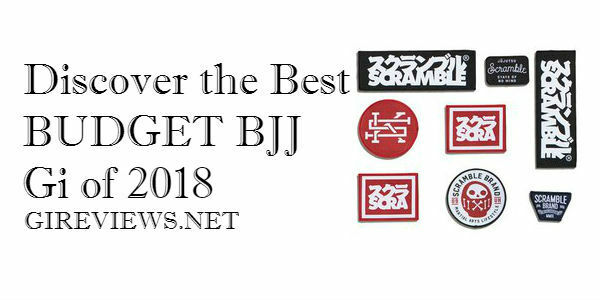 I might be a bit crazy in saying this, but I think the new Scramble Standard Issue gi is the best budget gi you can get this year. For $90 shipped, you get an incredible ‘basic’ gi and all of the patches to make it into the fully blinged out ‘Nascar status’ gi you know I love. When people complete gi reviews, you always have to wonder if they’ve washed the gi first or if it is fresh from the retailer. In the following paragraphs, we’ll be covering a few different things people need to be aware of. 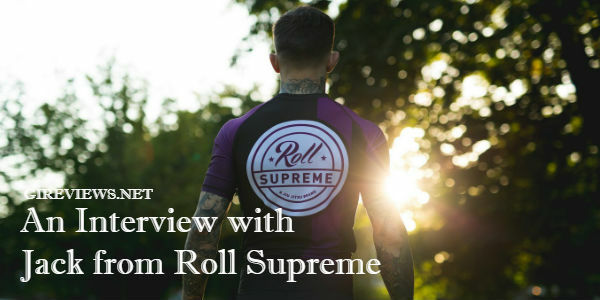 Jack runs the incredibly awesome BJJ brand, Roll Supreme. I’ve been in touch with him since the absolute start of the brand and I was really pumped he agreed to let us see behind the curtain into the inner workings of his life and Roll Supreme. In this installment of our GiReviews Holiday Gift Guide, we’ll chat about one of my favorite Instructional tools: BOOKS! I’m also a giant supernerd and reading is probably my favorite thing in the world besides training Jiu Jitsu. 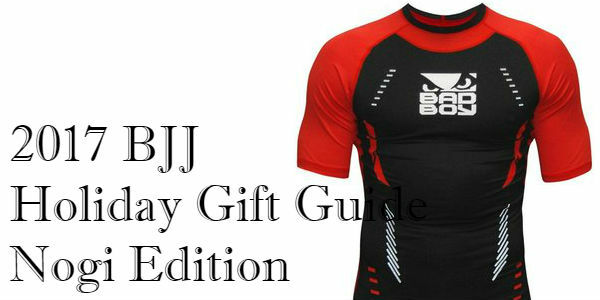 In case you missed our Gift guides for gis, nogi bjj gear, or bjj DVDs, make sure you check them out! It’s about that time of the year again that we buying JiuJitsu gis for ourselves and loved ones. Prefer grappling without wearing a bathrobe? Have a Nogi enthusiast in your life? Zombies like to grab onto clothes so if the zombie apocalypse were to happen, or if you wanted to do something super crazy and train without the gi, here’s an awesome list of nogi things that you should buy for yourself (read: others) this holiday season!